I had been very curious about Hada Labo skin care. Because this brand is very famous in Japan, I wanted to try it. 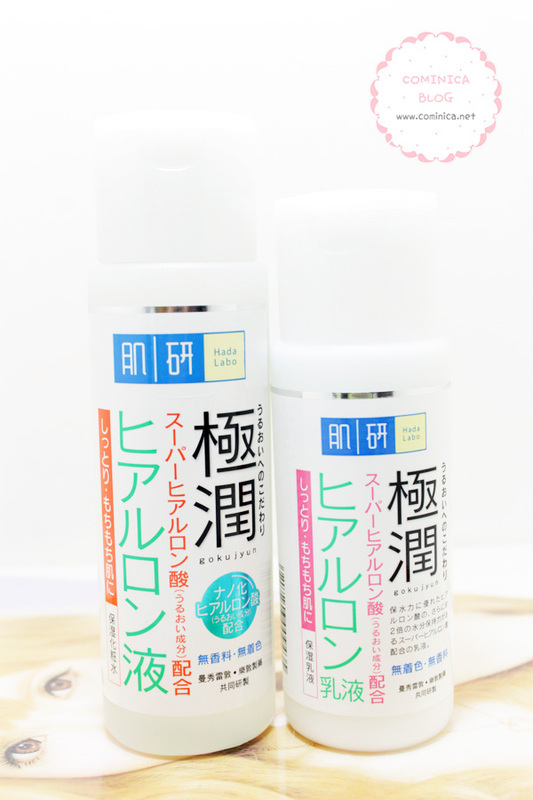 And they said, gokujyun products can be used by all skin types and can make the skin supple and smooth. It is make me even more tempted to try it ( ─ ‿‿ ─). I actually have considered several times about this, because my skin type is combination and is a bit oily around my T-zone. I'm afraid this skin care can make my skin breakouts and red because my skin is sensitive. But when I was in Malaysia, I immediately bought it without thinking lol. I bought the Lotion and Milk for try ( *___*). The material is use a plastic and sealed over a clear plastic before I opened it. It has a clean and clear design, dominated with white color. Gives that pure, soft and smooth feeling (ღ˘⌣˘ღ). 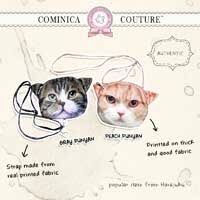 No wonder, they have the "Perfect" and "Simple" concept. 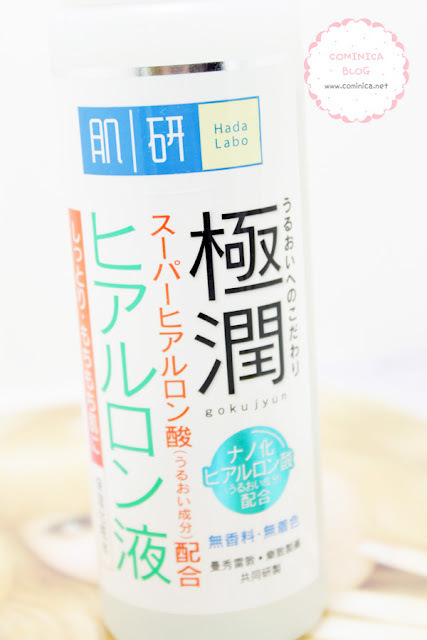 HadaLabo Gokyujun Lotion and Milk is infused with super hyaluronic acid which deeply penetrates into skin. It keeps on moisturizing and softening skin, meanwhile enhancing skin’s water-binding ability, leaving skin supple, smooth and radiant. Weak acid, no fragrance, and no colorant. As for the lotion, it's clear and looks like a toner or make up remover. It's not too watery but it's rich and thick. The ad says, "one drop is enough!" 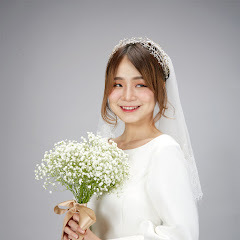 For the Milk, it has white color just like milk and the texture is richer than the lotion. I can use it until my neck because it's very moisturizing and rich. Be careful, you may feel greasy if you have oily skin. If you follow the steps, it should be the Lotion first then the Milk. Why? Because, the lotion it's actually a moisturizer that helps prepare your skin for better absorption of other Hada Labo products. And I think it's work for other skin care brand too. 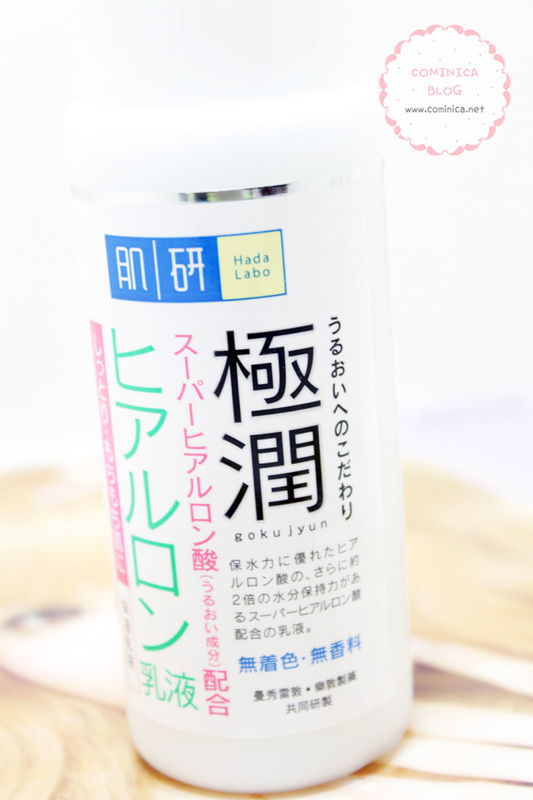 In fact, this lotion can be used as a standalone moisturizer (ﾉﾟ0ﾟ)ﾉ! The milk is a daily moisturizer provides deep nourishing hydration and skin smoothing conditioner for your face and neck. I personally think this Milk it way too too rich for my skin, hahahahahah. It feels so good and soft after apply though BUT it only fit in a cool place like AC room or mountain, lol. Please note first that I have combination and sensitive skin while you're reading my review, kekeke. I can't use Hada labo gokujyun milk for daily because it can breakout my skin. Small pimples will appear and make my skin feel itch especially in this humid country. So, I can only use it if I'm going to a cold place or ac room ( ╥﹏╥). So, my conclusion is : hada labo claimed this Gokujyun series can be used for all skin types but I think it's not. It depends to our skin, like mine is combination and yet it still feel too rich for my skin even though my cheek is a bit dry. I hate use it in the morning/afternoon, it's better if I apply it before sleep because when sleep we lost many water. Be careful not to over use it because sometimes it can makes our skin break out (+_+). If you have dry skin type this product probably can suit you. 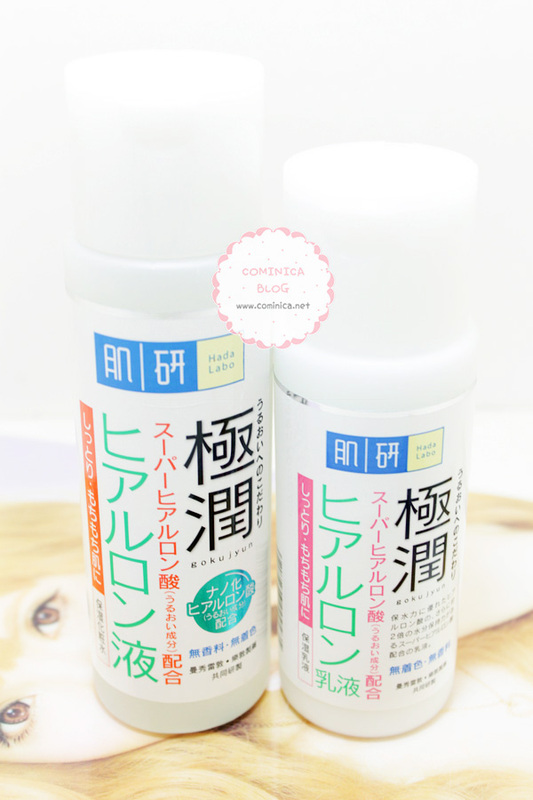 Have you ever tried Hada labo? kalo yang gokujyun lotion yang cece pake ini sih setau aku untuk yang kulit kering-normal. lagian milk kan dipakenya buat pagi. I have the lotion too and it broke me out. Maybe I used too much or it was due to my sensitive skin. But I will try to just use one small drop from now on, to see if that works. shield against the harmful effects of the sun. There is one main stat that you'll need to know about, which is the maximum wattage that your power supply can handle. Morgan brought mischievous charm and heart to the Wizard. This is not the Wicked Witch of the East that the house lands on. Fortunately, you can simplify this task by reading some reviews and articles on mmorpgs. prime importance when it comes to inclusion of new features. Is it okay if i just use the lotion without the milk? i've tried the LIGHT lotion one, but i think only one drop is absolutely not enough for my entire face because the texture is super duper exactly like water.